Limited Edition Hi-Speed Gasoline and Oil Porcelain Sign HSG2818 - California Car Cover Co. 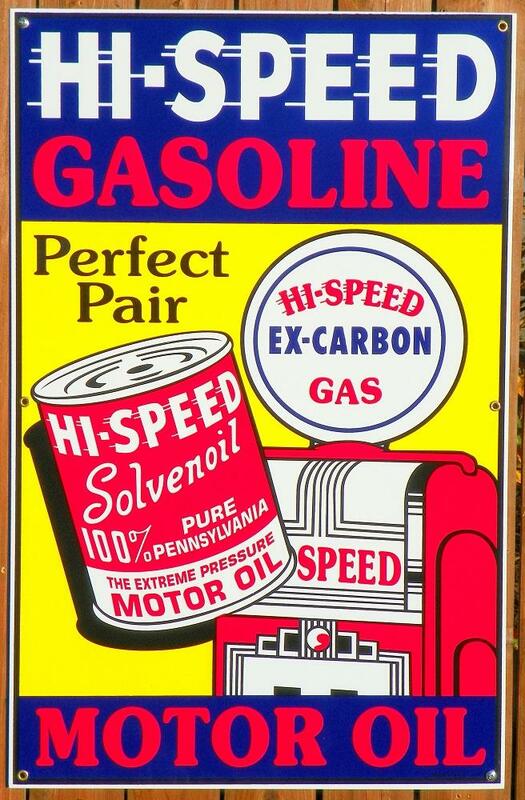 This Hi-Speed Gasoline & Motor Oil sign is a generous 28” x 18” in brilliant, bold 100% fired-on porcelain. Recreated from original 1940s artwork with authentic colors. Officially licensed. Made in the USA. Pre-drilled and ready to hand. Limited edition of just 100 pieces!